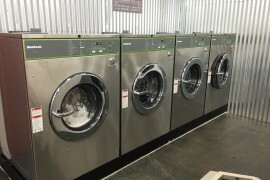 Over the years, we have worked with all type of Laundry Related professionals & have been able to amass a huge list of lenders, investors & financial instruments that will assist our customers maximize ROI, Re-model, improve & build cash flow in the vended laundry market. 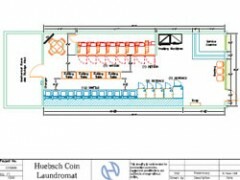 ACE Commercial Laundry Equipment Inc not only supplies hig quality Huebsch Laundry Equipment, but strives to provide quality coin laundry advice, Laundromat-specific marketing strategies, operational experience and promotion for not only existing store operators but towards new investors as well. 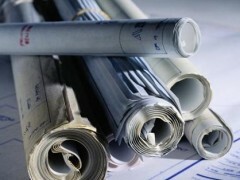 We can meet with you to discuss upcoming OPL projects, acquiring new laundry locations, and remodeling you existing coin-op location. 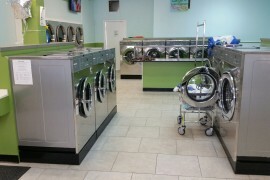 • In-Store Laundry promotions, operations and management advice. 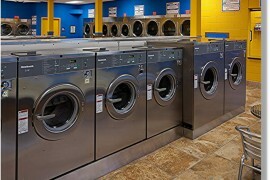 Contact us to discuss how ACE Commercial can help out with your next laundry project today.